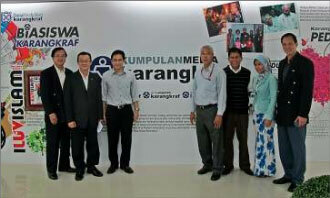 DSAM Board Members, represented by Sam Cheong (Vice President), CG Tan (Honorary Secretary) and Khong Che Lam (Treasurer), paid a courtesy and exploratory visit to Kumpulan Media Karangkraf Sdn Bhd (KMKSB) on 14th November 2011. The purpose of the visit is to explore the possibility of a mutually beneficial working relationship with the media group. DSAM was greeted by Dato’ Hussamuddin Yaacub (Group MD/CEO), Muhammad Nasir Hamzah (Deputy Chairman), Syamil Fahim (ED), Abd Jalil Ali (Exec Editorial Advisor) and most of their departmental heads. while we have begun exploring some details. 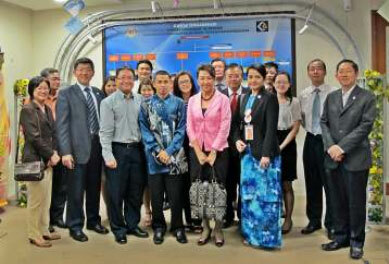 This initiative is to target the Malay speaking Direct Sellers and Consumers. On 24th November 2011, 14 DSAM Member Companies paid a courtesy to En Naeman Bestow Bin Mohd Mokhtar, Principle Assistant Director, Direct Selling Unit, MDTCC. En Naeman, formerly from the Ministry of Education, introduced himself before allowing each member the opportunity to introduce their companies. The cordial visit lasted almost 2 hours and ended with a better positive outlook on the future cooperation between MDTCC and DSAM.